Chipsets made by the silicon manufacturing division of Huawei are not considered equal to the Snapdragon 845 or Exynos 9810. The most powerful right now from HiSilicon is the Kirin 970 and though its performance is considered to be on the same plateau as a flagship smartphone, Huawei has a found a way for the GPU in the SoC to perform much faster. The company is able to achieve this with something called GPU Turbo technology. Here is a detailed explanation on what GPU Turbo is and how will it benefit future and current Huawei smartphones. 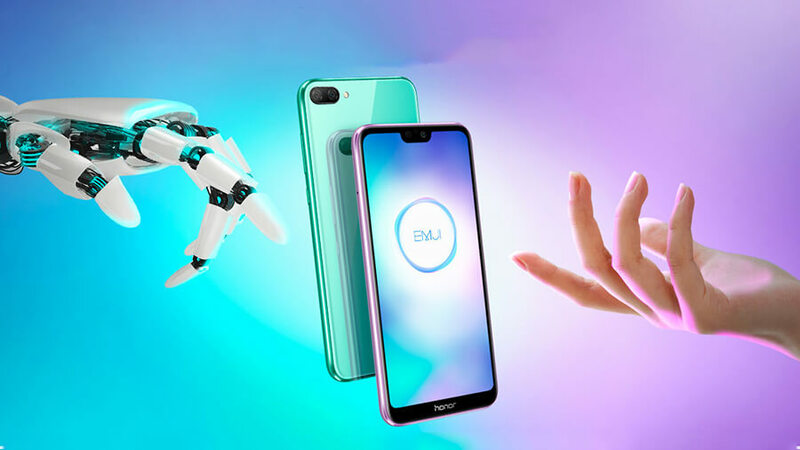 According to Huawei, its EMUI 8.0 interface running on top of Android features a new file management system which, according to the company, intends on maintaining the speed and responsiveness of the manufacturer’s phone lineup. In short, the fragmentation bane that you’ve all about occurring in Android smartphones, irrespective of their powerful specifications makes them sluggish, resulting in delayed task executions and a hampered, frustrating user experience. This reveals that Huawei is working on software levels to maintain the speeds of its devices but GPU Turbo takes it to a whole new level. While you will not see any hardware improvements since you cannot swap out the SoC present in the smartphone, the improvements are going to be seen from the software side. Huawei has low-level access of hardware that has enabled the Chinese giant to roll out GPU Turbo, increasing graphical performance, and efficiency of the device. Around 4-5 years of researching, development, and implementation allowed Huawei to bring forth its GPU Turbo technology and when you’re the third-largest smartphone brand in the world, you tend to have a lot of resources at your fingertips to make your plan come to fruition. According to Huawei Central, the commercial value of this technology is said to reach $10 billion USD, according to media reports. Powerful graphics processors result in smoother gameplay and the ability to render more detailed textures in a smartphone. Often times, there is a talk about not just the right amount of GPU power but also about how efficient is the GPU since a balance is necessary to provide the user with adequate battery life while gaming. Huawei states that this balanced is going to be improved or disturbed, depending on how you look at things. The GPU Turbo technology dramatically increases the graphics processing efficiency of smartphones, thereby allowing devices to run graphically intensive applications without significantly affecting battery life. If you want statistics, we’ll give you statistics. The company’s claim is that GPU Turbo will be able to increase graphics processing efficiency by 60 percent and reduces SoC power consumption by 30 percent. These are certainly impressive numbers but we will have to wait for real-life results in order to convey to you how authentic the company was in its performance claims. Huawei’s Richard Yu even mentioned that with GPU Turbo, mid-range Honor-branded smartphones’ single-thread performance can beat multi-threaded GPU performance of some flagship phones in the market today. The technology will allow more intensive smartphone gaming titles to run at higher frames per second. Furthermore, it brings HDR picture quality and special effects in gaming, making the overall experience rich and fluid. How Was Huawei Able to Achieve This? The company managed to achieve this by restructuring the traditional graphics framework at the lower level system. As the performance of a game is measured in frames per second, each new frame requires a high amount of CPU and GPU resources. However, often times the new frame is rendering the same image as the previous frame, ranging from textures to items and other levels of details, and here is where Huawei was able to capitalize. It managed to develop an intelligent algorithm in the GPU driver to tell the graphics processor and CPU what exactly needs to be rendered in the new frame. As a result, more GPU and CPU resources are allocated to the new frame, only rendering was actually required in that image and nothing unnecessarily, increasing performance as a result. Talking about the efficiency part here, not all GPU and CPU cores are needed to render the next frame of the graphical details, meaning that fewer system resources will be used up all the time, allowing better efficiency. Devices running the Kirin 960 and Kirin 970 will receive this update, with beta testing taking place starting from July 15 and rollout expected to take place on July 30. However, with Huawei expected to announce the Kirin 980, the update could also be rolled out for this SoC, resulting in even greater performance for the upcoming Mate 20 and the Mate 20 Pro. Additionally, the new technology should also be available for the rumored Kirin 1020, which is reportedly able to deliver twice the performance of the Kirin 970. Now, we’d like to remind you that this performance increase is not going to be the same as incorporating newer hardware such as GPUs and to be honest, choosing the latter will resulting in you to experience a substantial performance boost. However, Huawei cannot continue to roll out chipsets in succession just because they were able to find out how to surpass the performance and efficiency barrier, so GPU Turbo is a much safer bet and easier for the finances too. Additionally, when future chipsets such as the Kirin 980 receive the GPU Turbo update, devices fueled by this silicon should be able to exude better performance but one question still remains? Will it be sufficient to give Qualcomm’s Adreno lineup a stiff competition? Looks like we will have results prepared for you in the near future.